The historic town of Princeton, British Columbia straddles the Crowsnest Highway at the confluence of the Tulameen and Similkameen rivers east of Vancouver. Princeton was originally called Vermilion Forks, named after the two rivers and an unusual rock formation west of town. Both rivers support decent populations of rainbow trout. 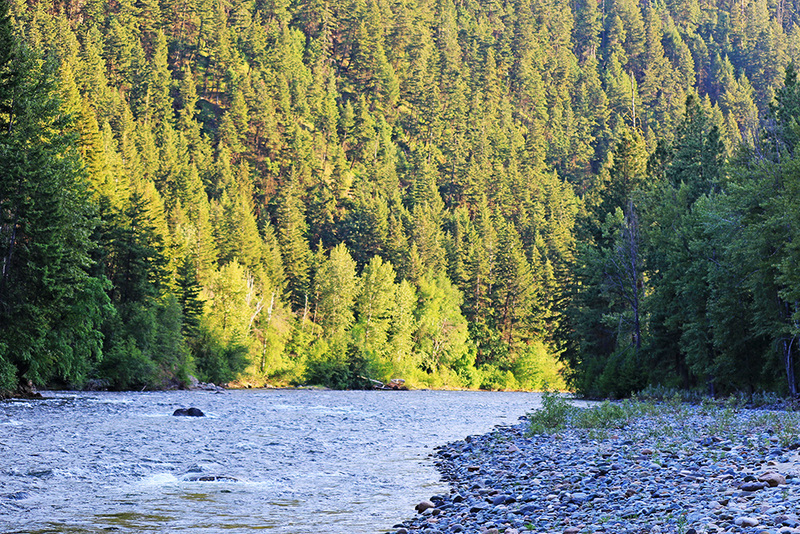 When I arrived last week, however, the water was still too high from runoff for fly-fishing. “Didn’t have my heart set on fishing, anyway,” I told Rosie. She’s a good listener, especially if she hears walk, squirrel or fishing in a sentence. “We’ll have more time to explore,” I said. The motel owner suggested we walk the historic Kettle Valley Railway, which has been preserved as a multi-user trail. The “KVR” stretches for 600 kilometers across the southern BC interior and is now part of the Trans Canada Trail. 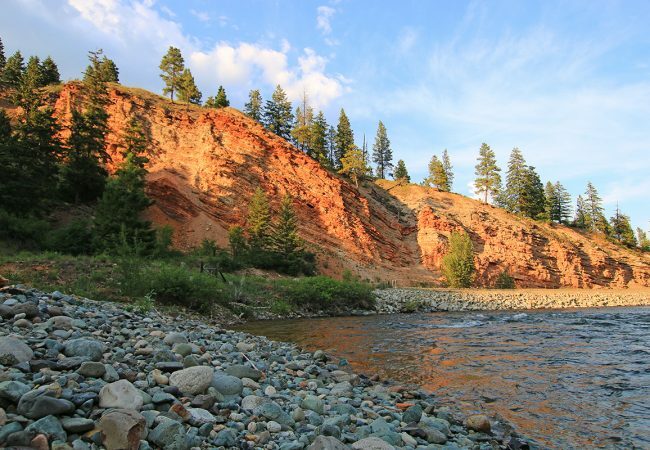 Around Princeton, the KVR hugs the Tulameen River, offering spectacular canyon scenery, river access and a terrific view of geology on the canyon walls. 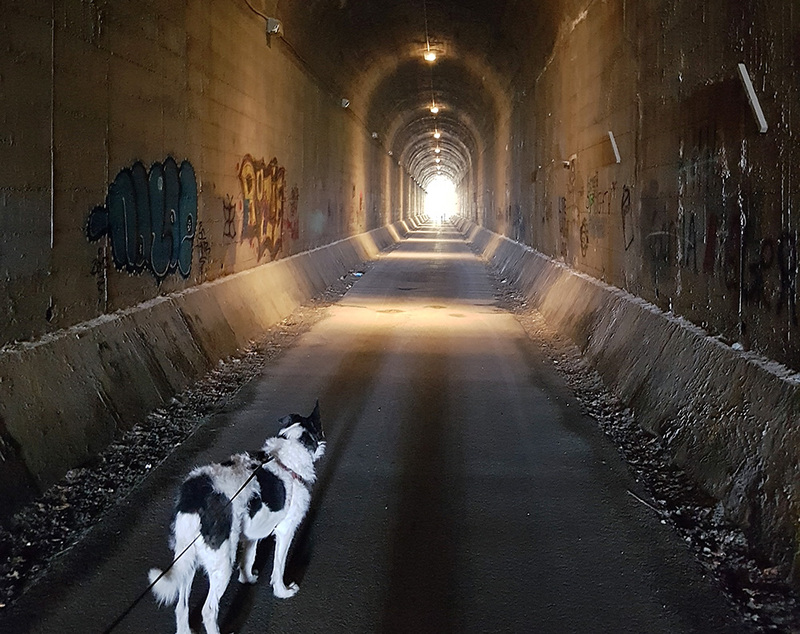 On the west side of town, a 400-meter tunnel cuts through the ridge separating the Tulameen and Similkameen rivers. In the tunnel at the edge of town. A few kilometers past the tunnel, the trail skirts a wall of orange-red rocks known as the Vermilion Bluffs. When Rosie and I reached the bluffs on this warm morning, we found an earth sciences class from Princeton Secondary School poking around. I asked the teacher about the rocks and why they were important. The orange and red come from ochre, she told me, which is a naturally-occurring colored clay that Indigenous people used for centuries to create pigment. They would grind the clay into powder and mix it with animal fat, then apply it to their skin or to use it to decorate tools and clothing. 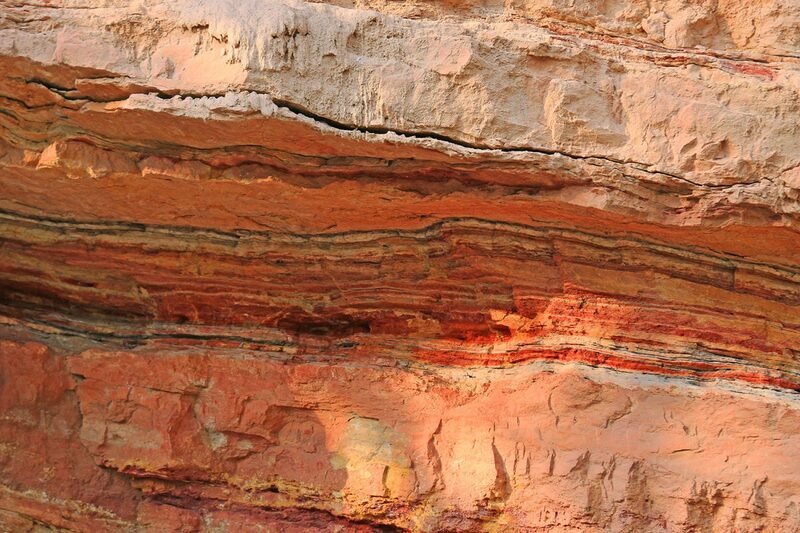 The different colors of ochre brought First Nations people from around the West. “What’s especially significant about these rocks,” she said, “is that they contain a number of other colors, like yellow and brown and black. It might be the only such place in North America.” She kindly walked me along the trail and pointed out the layers with the different colors. I tried to imagine myself seeing these back in ancient times, scooping the clay from the cliff face and mixing it with bear fat. “These colors attracted First Nations from around the West,” she added. Further upstream a colony of yellow-bellied marmots taunted Rosie while I lost myself in bird sightings of flycatchers, warbling vireos, meadowlarks and nuthatches plus many songs I’d never heard before. Later we hung out at various shady spots along the Tulameen until the sun left the canyon, then we walked back to Princeton in the cooler evening air.